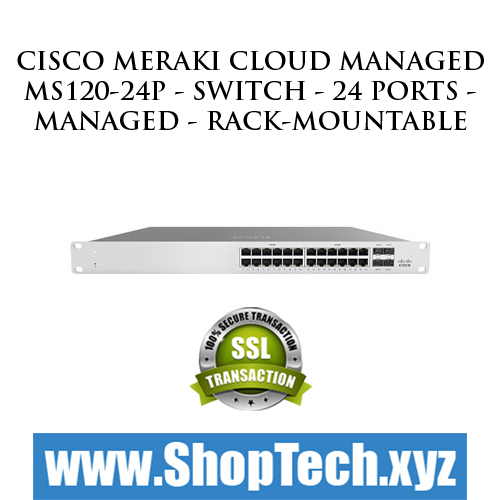 Cisco Meraki MS120-24LP switches provide Layer 2 access switching ideal for branch and campus deployments. Configure and manage your switches using Meraki's cloud-based management platform. Access to the Meraki Dashboards allows you to manage an entire ecosytem system of Meraki devices, including switches, APs, security appliances, cameras, and IP phones.